The flame sensor in your Whirlpool dryer model WGD4616FW works as a safety device. When it’s operating properly, it ensures the igniter is producing enough heat to ignite the gas, meaning it will only open the gas valve once the igniter has reached a high enough temperature. After the flame is lit, the sensor continues to monitor the heat coming from the burner flame to ensure the gas valve stays open during the drying cycle. A defective flame sensor won’t allow the gas valve to open, which means your dryer won’t produce heat. Replacing the flame sensor part #WP338906 is the only option. Before starting your dryer repair, unplug your appliance and turn off the gas supply valve. Wearing work gloves and safety goggles are strongly recommended. Remove the lint screen from the top of your dryer and unthread the two screws found underneath it. At the front corner of your appliance, slide a putty knife in-between the dryer’s top panel and the dryer cabinet to disengage the locking mechanism. Once the first locking tab is released, move to the opposite corner to free the second locking tab. Lift up the top panel and rotate it back. Use a flat head screwdriver to disconnect the door switch, wire harness. Then, unthread the screws securing the front panel from the dryer cabinet. Now you can pull the front panel off the dryer. You’ll need to remove the dryer drum to gain access to the flame sensor. To do so, insert your hand in-between the drum and the bottom of the dryer cabinet. When your hand reaches the idler pulley, push forward on it to create slack in the belt looped around it. Once there is enough slack, remove the belt from the pulley, and take the pulley out of the dryer cabinet. Stand back up, and take the drum out of the dryer cabinet by lifting it up with the belt. Unthread the mounting screw from the faulty flame sensor and disconnect the wires running to the part. Take the sensor off the burner tube and get rid of the defective component. To install the new flame sensor, simply reconnect the wires and secure the part to the burner tube with the mounting screw you removed earlier. With the new sensor flame installed, you can start the reassembly process. Reinsert the dryer drum and reinstall the idler pulley. Thread the belt around the pulley and motor shaft in a Z formation. Stand back up, and manually spin the drum to realign the belt. Place the front panel back on the dryer and secure it with screws. Reconnect the door switch and swing the top panel back around. Push down on the panel to engage the locking mechanism. Finally, replace the screws on the edge of the lint screen housing and reinsert the lint screen. Plug-in your dryer and turn the gas back on. 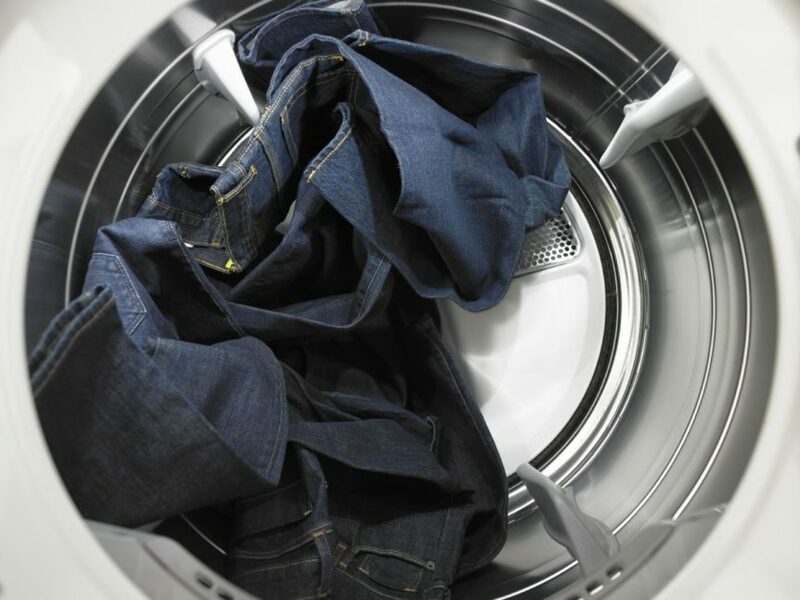 Throw a load of wet clothes in your appliance and run them through a dry cycle to ensure the new flame sensor has solved your no heat problem. If you have dryer repair questions or you’re worried about a different appliance in your home, please contact us today and we’ll be happy to help you.